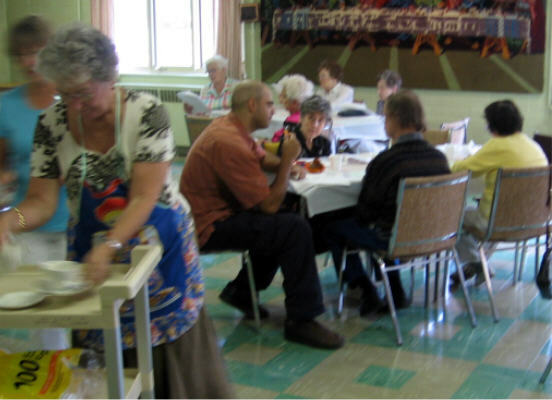 The first community luncheon of the 2007 fall season was held September 25, a fine summery day. With the nice weather and a birthday meeting at the Teapot in competition, a small number of folks gathered at Summerlea to shoot the breeze at lunch. 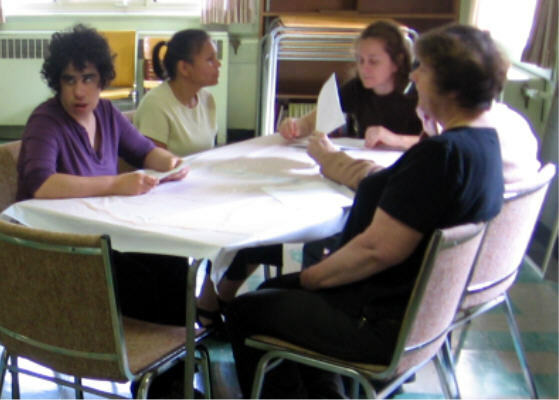 Our numbers were strengthened somewhat by members of the West Montreal Readaption Centre who joined the group. 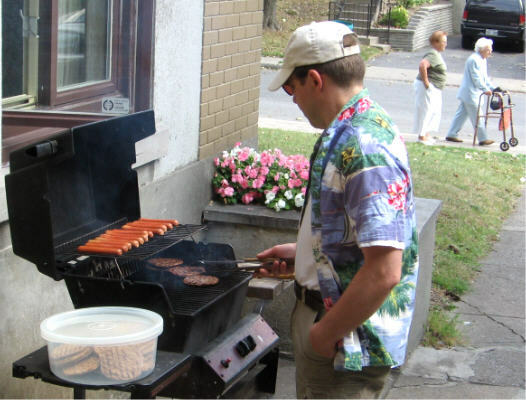 Lunch consisted of hot dogs and hamburgers barbequed by Summerlea's own BBQ master, Roy Rodd. 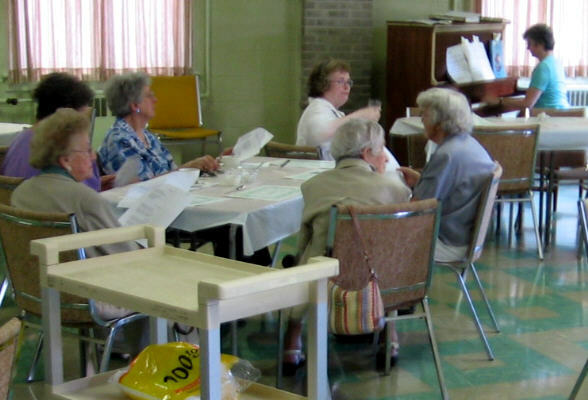 Following lunch Summerlea Music Director Connie Osborne played the piano for a sing-along, with pre-printed song sheets for those too young to know the words of the old favourites. From the sound of the singing, a good time was had by all. The October luncheon will feature a presentation on Fear of Flying by Roy Rodd of Bombardier. Some of the folks preparing to sing along after lunch. Many thanks to Roy and Connie and the others who helped to prepare and clean up. Please join us next time as we hear about Fear of Flying.